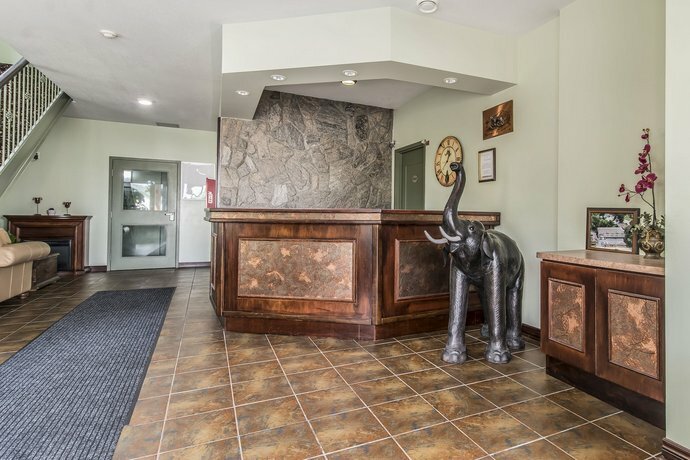 This hotel is located just off Highway 11, across from Avery Beach. 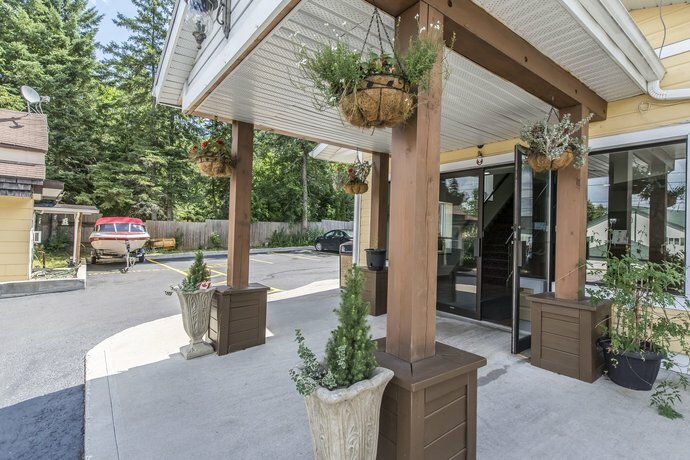 It is a popular hotel for guests wanting basic accommodations while exploring the Huntsville, Algonquin and Muskoka regions. 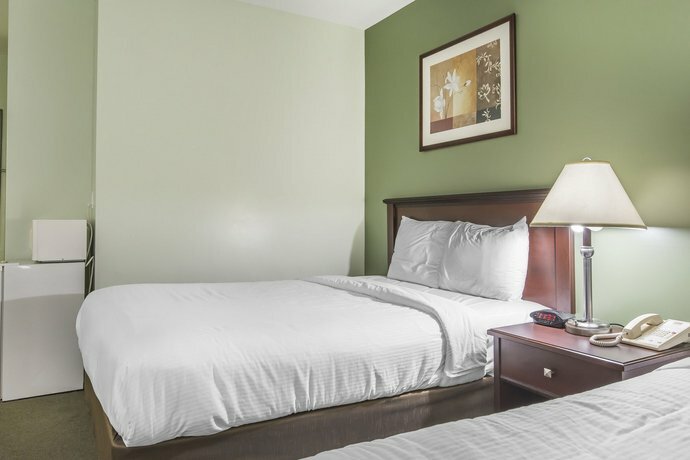 This 100% smoke-free hotel has a total of 34 guest rooms and 2 whirlpool suites. 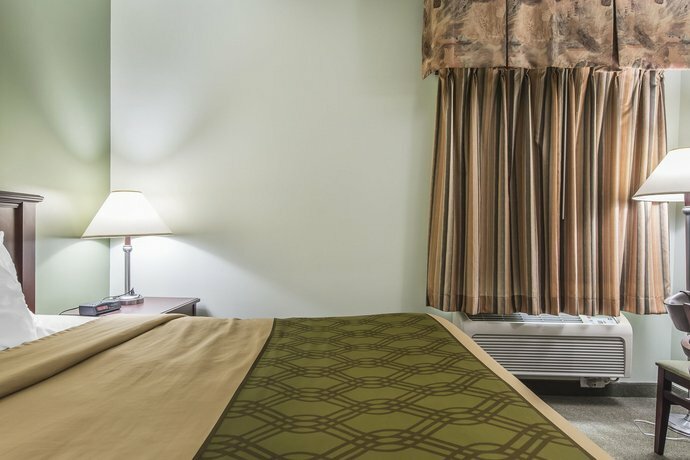 The standard guest rooms offer one king or queen bed, or two double beds. 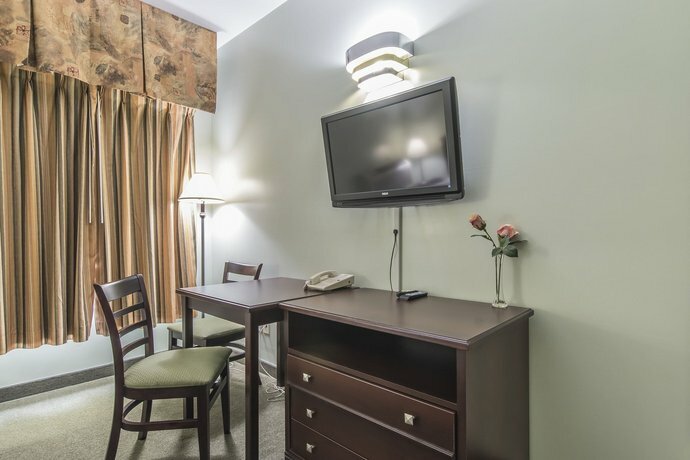 Each room comes with a 27” LCD TV, a microwave, a small fridge, a hair dryer, an iron and an ironing board, free Wi-Fi and wired internet, and free local calls. Complimentary newspapers are offered on weekdays. 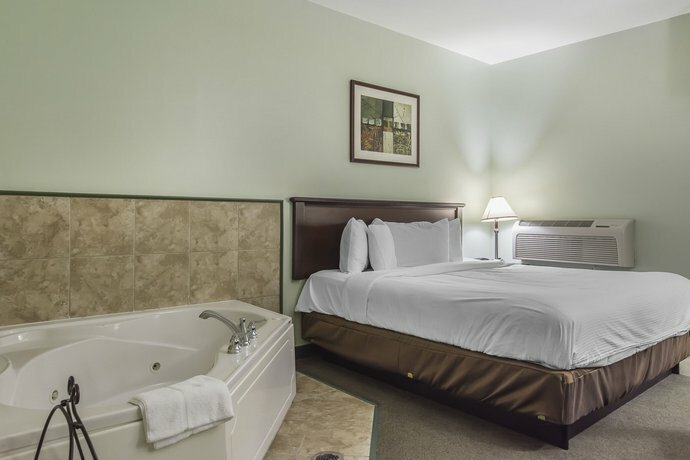 The suites come with one king bed, all amenities mentioned above, and a whirlpool tub. 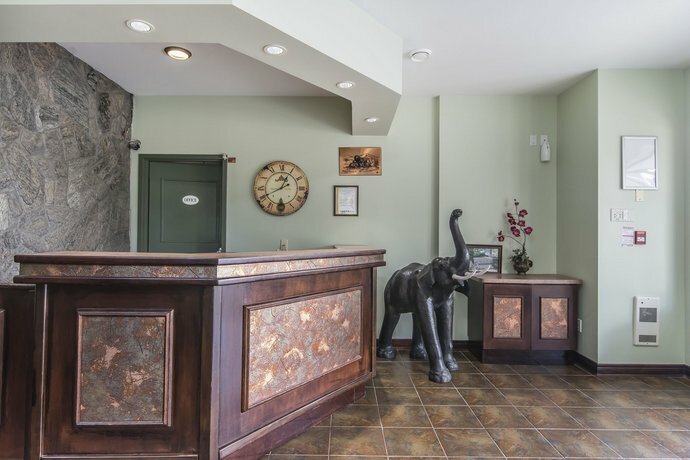 Dogs are allowed for a fee of $10 per night. 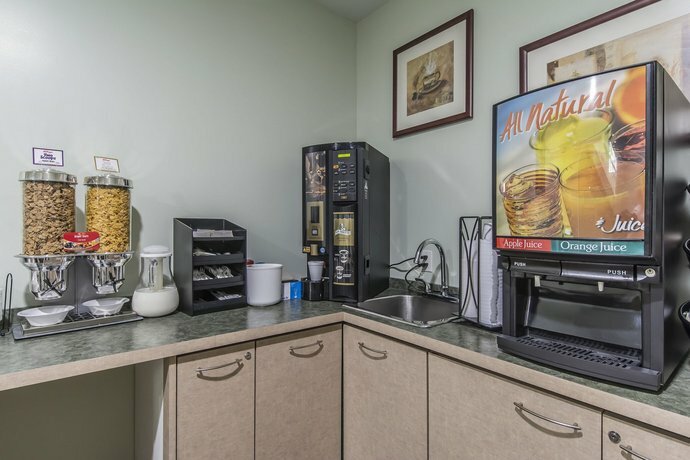 The hotel offers ice and vending machines, as well as a free continental breakfast for guests. Copy and fax services can be made available upon request. 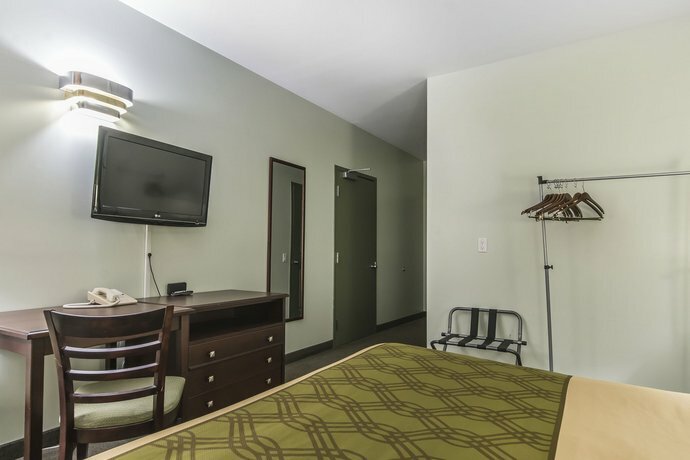 There is no restaurant on site, but downtown Huntsville is a 2-minute drive or 15-minute walk from the hotel, where there are plenty of restaurants to choose from. 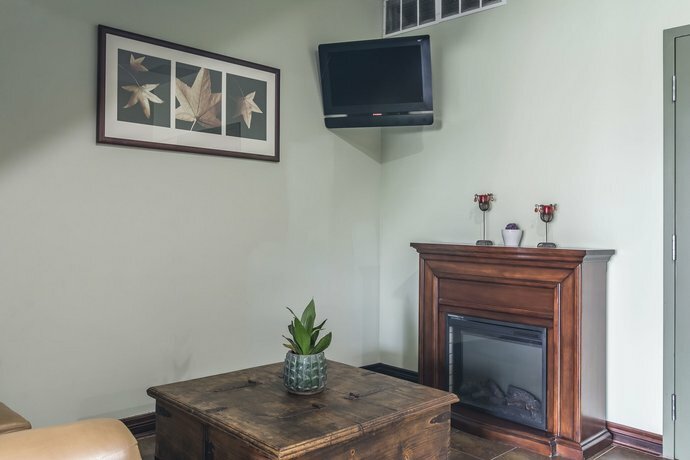 Verified with a front desk agent on October 26, 2012: 34 guest rooms, 2 suites, both Wi-Fi and wired internet access, pet fee of $10 per night, hotel is 100% smoke-free. 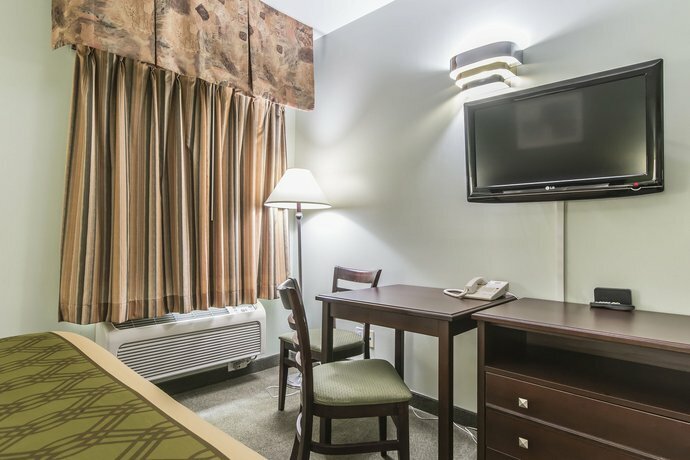 In the reviews used for the analysis, the hotel received many positive reviews. 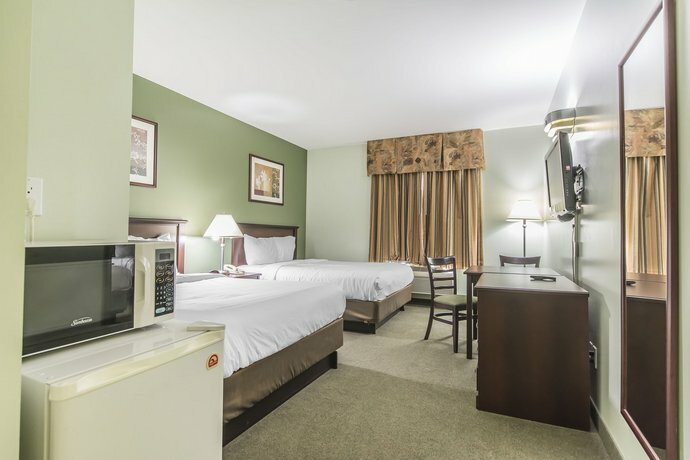 The reviews praised the clean, comfortable rooms, the good value, the helpful staff, the good location, and the waffle maker at breakfast. 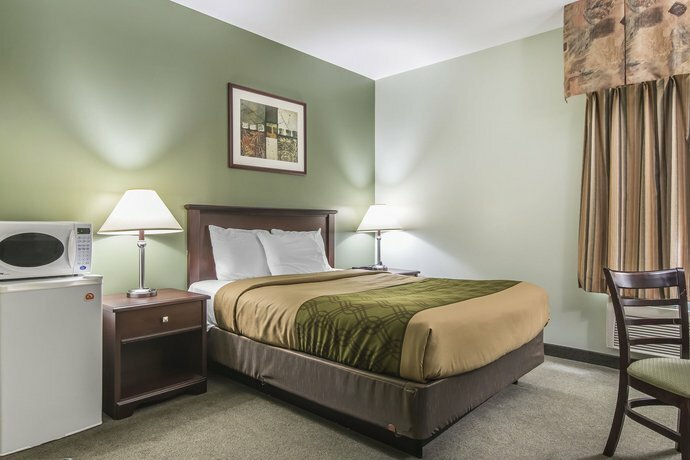 Although it was commonly noted that the rooms were very basic, they were also reviewed to be very clean and comfortable. Many guests felt that the price for the accommodations was fair. One guest said "If you're looking for a cheap place to stay, this is it!" The staff were praised by many for being very friendly and helpful. The location close to downtown Huntsville was a positive for many guests. 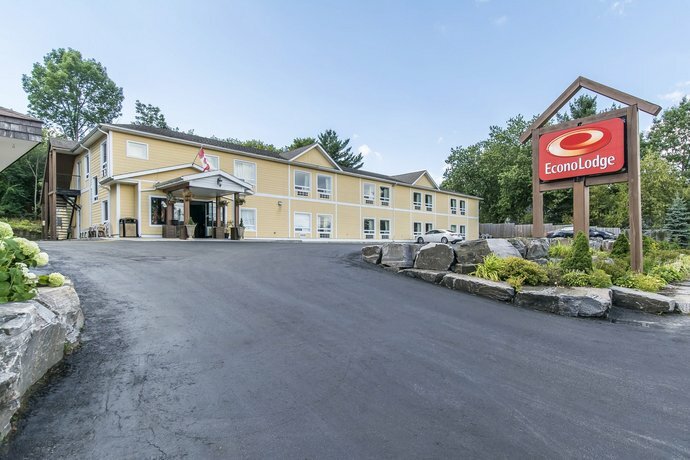 Those who were staying at the Econo Lodge as they passed through to Algonquin Park liked the hotel's proximity to the highway. While many guests were disappointed in the selection of food at the free breakfast, some guests were very pleased with the do-it-yourself waffle station, providing warm waffles for breakfast. While many of the reviews used in this analysis were positive, there were some complaints. These included a poor selection at breakfast, noise in the hallways, and steep prices during peak season (July - September). 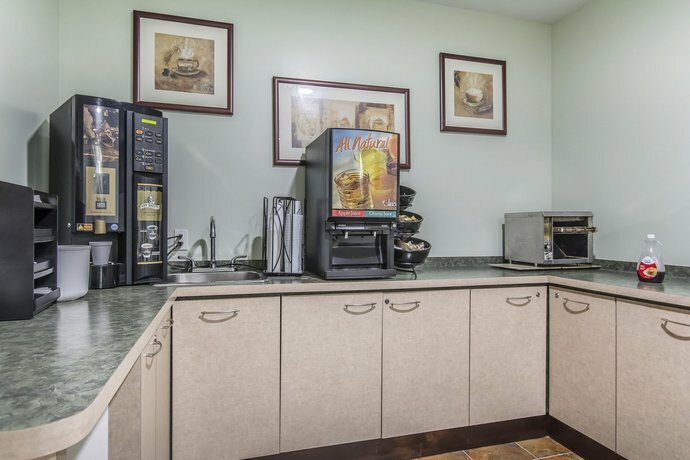 Some guest reviewers loved the waffle station, but most guests who commented on the breakfast were disappointed in the selection and lack of sitting room. 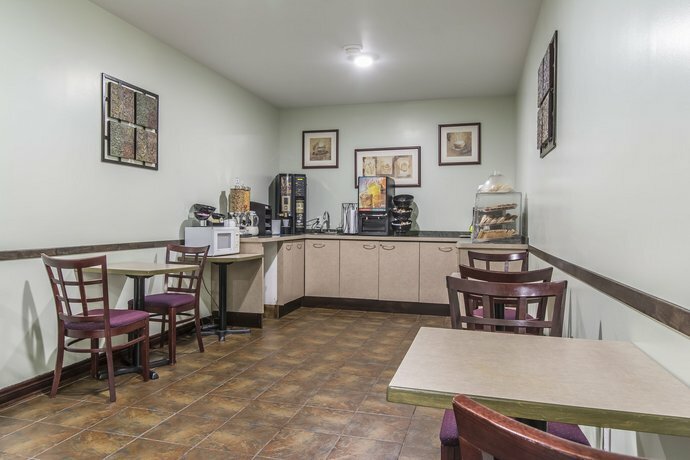 One guest said "We thought the breakfast was sparse, and the eating area was very small." 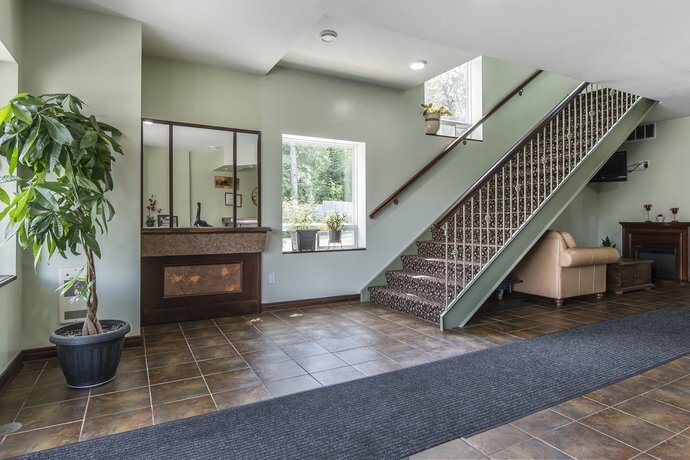 Overall, many guests thought the hotel was a good value. However, some guests thought it was overpriced. 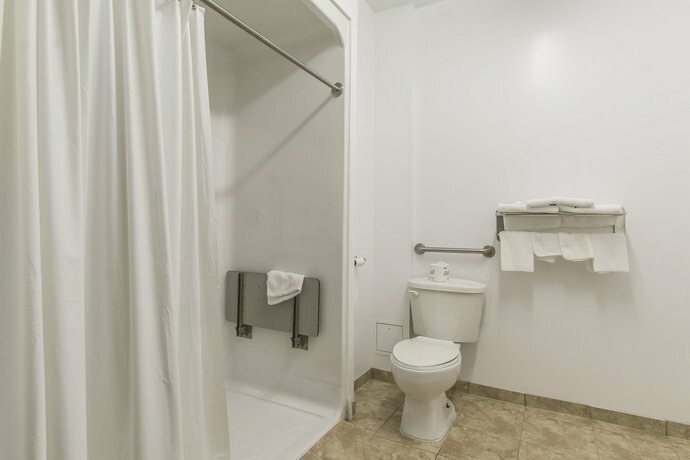 One guest said the room was "overpriced by approx. $30 probably due to it being the last Canadian long weekend of the season.” Another guest who thought it was expensive, but said "it is all relative to the area (Muskoka is expensive)." Peak season in Huntsville typically runs from July to mid-September. 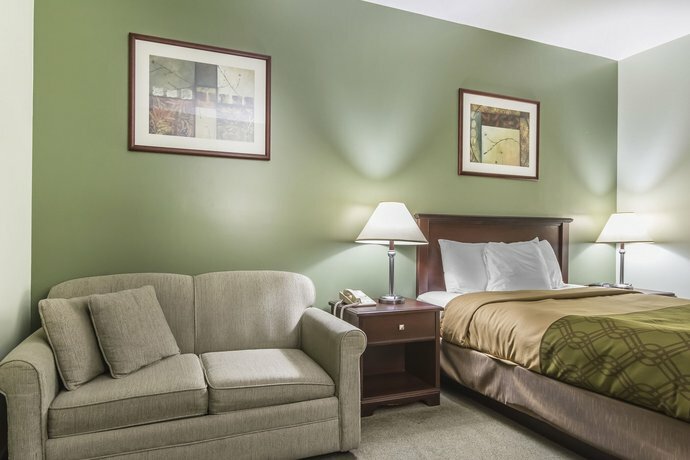 TripAdvisor.com guest reviews ranked this hotel #9 out of 17 Huntsville hotels, and rated it 4 out of 5, based on 50 reviews. 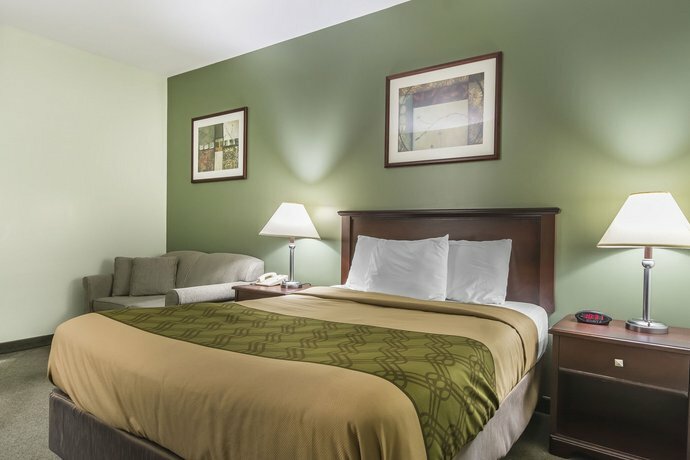 Expedia.com guest reviews rated this hotel 3.8 out of 5, with a recommendation rate of 78%, based on 27 reviews. 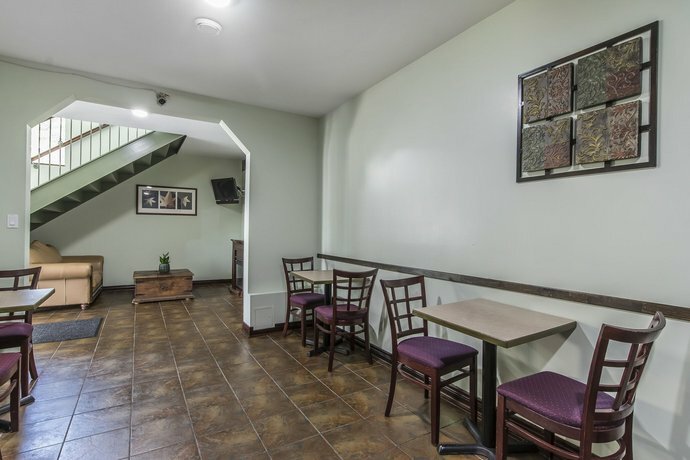 Booking.com guest reviews rated this hotel 7.6 out of 10, based on 59 reviews. 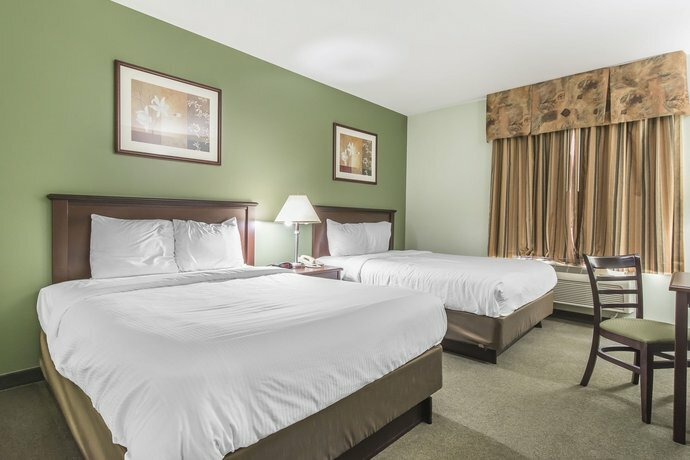 Hotels.com guest reviews rated this hotel 3.8 out of 5, based on 73 reviews. Having travelled to 25 countries on 5 continents, Candice understands what a traveller is looking for when booking a hotel. She currently lives in Chiang Mai, Thailand, but originally hails from Toronto, Ontario. 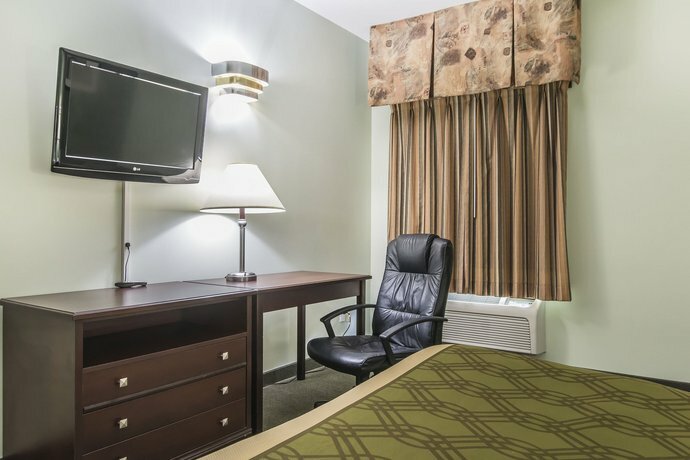 The average guest rating for Econolodge Huntsville is 7.3 out of 10 based on 842 reviews from past guests. 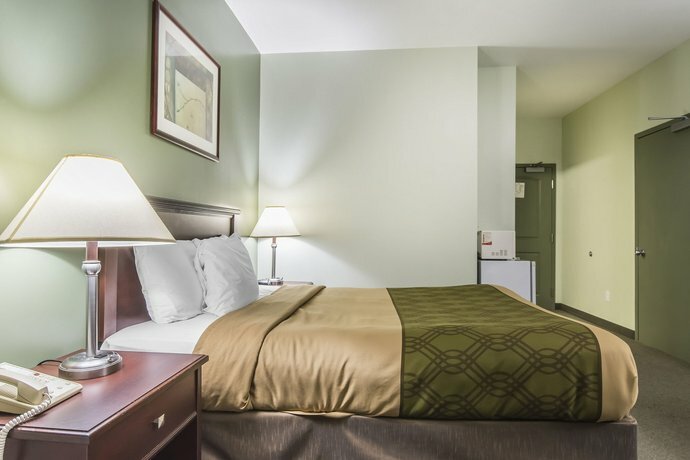 This average guest rating ranks Econolodge Huntsville at #10 out of 13 hotels in Huntsville.